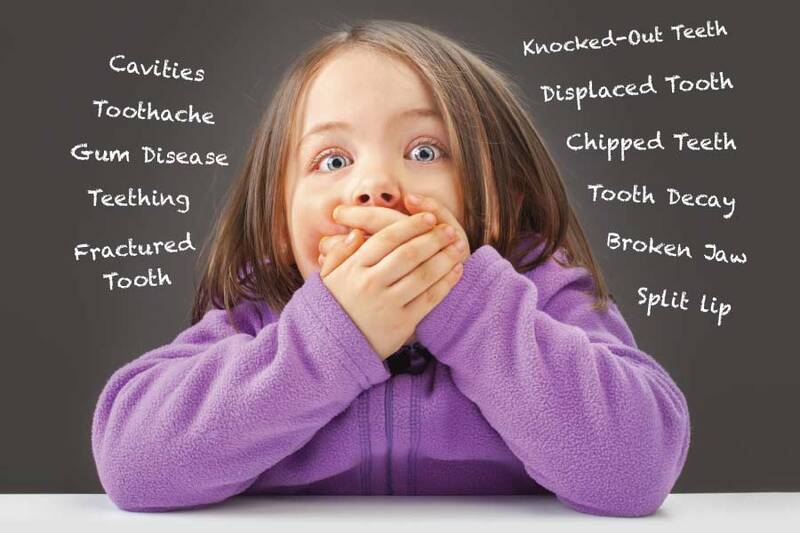 Children’s dental problems run the gamut from cavities to knocked-out teeth. Many of these can be prevented — with good oral hygiene and routine dental checkups; a nutritious diet low in sugar; and appropriate protective gear such as a custom-made mouthguard and helmet when playing sports. If your child does complain of toothache or suffers a dental injury, make sure he or she sees your family dentist or pediatric dentist (a specialist in children’s teeth) as soon as possible. This is usually preferable to seeking care at an emergency room, as hospitals often do not have trained personnel or equipment to handle dental emergencies — unless there is a dentist or oral surgeon on call. Of course, there are times when you have no choice but to rush your child to the nearest ER. Here are some guidelines for what to do in non-urgent as well as emergency situations. Allow the child to gnaw on a chilled (not frozen) teething ring or pacifier, or a cold, wet washcloth; massage irritated gums with your clean finger; seek your dentist’s or pharmacist’s advice about over-the-counter pain-relief medications. Do not rub any type of medication onto the gums; it can burn. Ice can also burn. Alcohol is not an appropriate teething remedy in any form. Do not use numbing agents containing benzocaine. 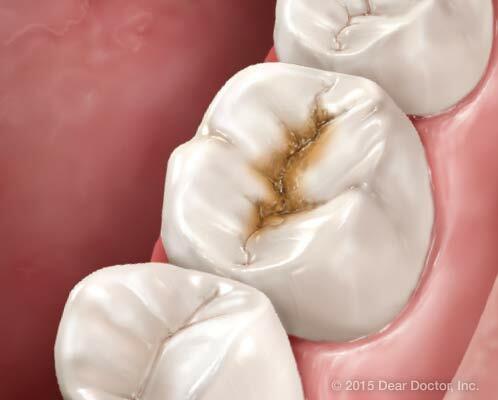 There are often no symptoms of early tooth decay. 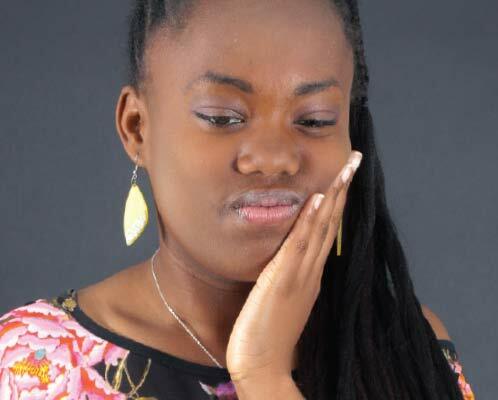 Deeper decay can sometimes be felt as sensitivity or even tooth pain. Make sure your child sees a dentist regularly, so that small cavities can be treated before they become big problems. If your child complains of pain or sensitivity, make an appointment even if it is not time for a routine checkup. Make sure the toothpaste your child uses contains fluoride and that it is spit out after brushing. Don’t give your child sugary treats between meals; juices, soda, sports drinks and energy drinks are particularly harmful to teeth — as well as overall health. Keep sugar out of your child’s diet as much as possible! Can range from minor sensitivity to sharp pain if the pulp (nerve) is involved. Tooth sensitivity to hot, cold, or sweet foods, or tooth pain can be the first sign of tooth decay. Make a dental appointment for your child; until he or she is examined, a warm-water rinse, cold compress on the outside of the face, or appropriate doses of over-the-counter pain-relief medication may be helpful. If pain is intense, see your dentist immediately. Never rub aspirin or any other medication directly onto the teeth or gums. Likewise, ice or heat should not be applied directly as both can burn sensitive oral tissues. 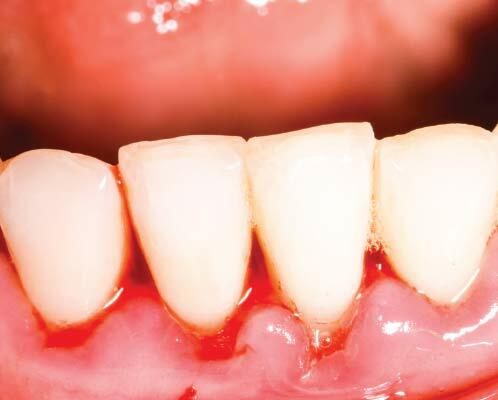 Gums that bleed when teeth are brushed (in the absence of tooth sensitivity or pain). Brush gently along the gum line with a soft toothbrush to remove irritating biofilm (bacterial plaque). This will also help instill good dental habits early in life. If the bleeding does not stop in a few days, consult your family physician. Bleeding gums are not normal in children. Don’t brush more than twice per day or too hard. 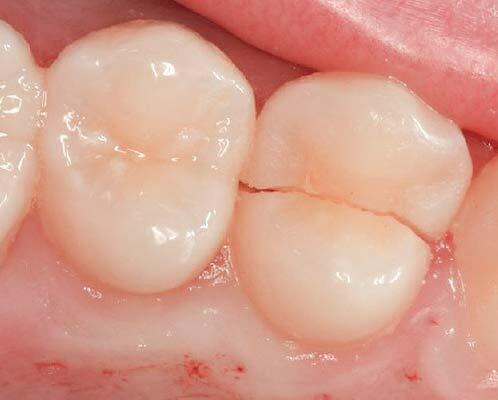 This can cause recession or injury to the soft gum tissues. Conversely, don’t avoid brushing the area just because it’s irritated — plaque must be removed daily. 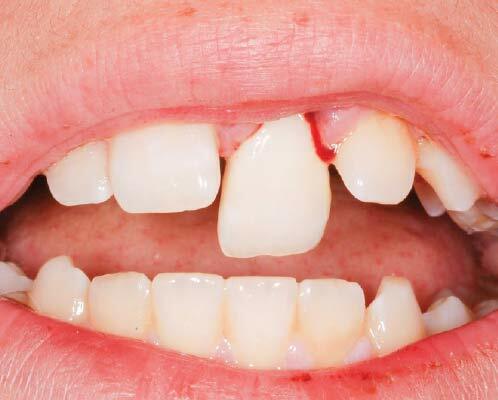 There is a piece missing from the tooth, usually as a result of trauma, or inadvertently biting on something very hard. Save the missing or chipped piece if possible — your dentist may be able to bond it back to the tooth; if not, a chip is usually a simple repair accomplished by bonding tooth-colored composite materials to the tooth. Don’t try to file the tooth or smooth it yourself. Tooth has a crack in it. If your child is unable to bite or close the teeth together normally, call the dentist immediately. If the injury is not serious, you may be advised to wait a day to come in: Analgesia (pain control) and a good night’s sleep can often make the treatment much less unpleasant. 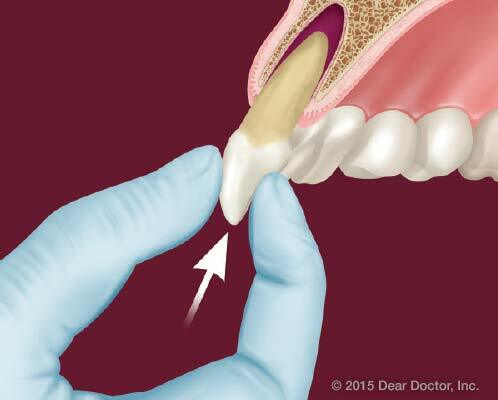 Don’t wiggle the tooth or try to remove a cracked fragment. Don’t bite hard on the tooth, it may make it worse. 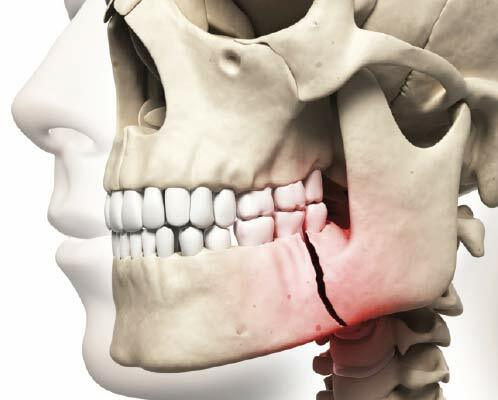 Tooth is moved out of place or pushed deeper into the jaw as a result of an injury or trauma. This is often a serious dental emergency; call your dentist’s office immediately. If it is after hours, you may be instructed to go to an ER — or to wait until the next morning to be seen by your dentist. 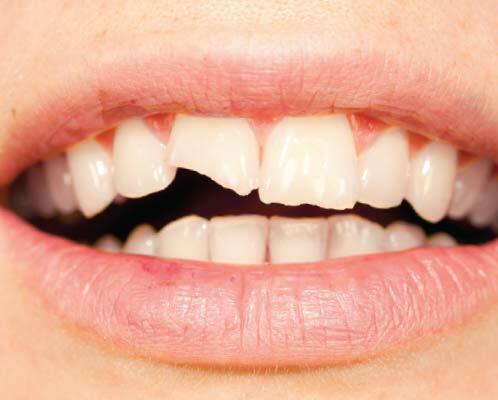 Don’t try to reposition the tooth yourself, unless it is completely knocked out (see “knocked-out tooth”). Tongue, lips, cheeks, gums are cut and/or bleeding. Clean area as well as possible; make sure there are no trapped pieces of tooth or dirt; apply gentle continuous pressure (10-15 minutes) to help stop the bleeding. Ice packs or cold compresses may be helpful. If bleeding or wounds are severe, go to emergency room. Don’t panic; bleeding from the mouth often looks worse than it is. Don’t use dirty cloths, bleach, aspirin or other medications on open wounds. Tooth is completely out of the mouth — no part of it remains beneath the gum line. Find the tooth; rinse it off with water to remove dirt and debris; place it gently back in its socket, or between the child’s cheek and gum, or in a glass of cold milk. Rush to a dentist or emergency room so that the tooth can be replanted — time is of the essence to ensure successful reattachment. Do not touch the root of the tooth while handling it. Do not scrub to clean it. The tooth must be handled with utmost care and replanted (preferably) by a dentist as soon as possible. If more than five minutes elapse before the tooth is replanted, its survival is unlikely. Make the child as comfortable as possible; try to control any bleeding with direct pressure, using a cold compress or clean cloth. The child should see a dentist as soon as possible; treatment may be needed to avoid future orthodontic issues. Leave the tooth for the Tooth Fairy! 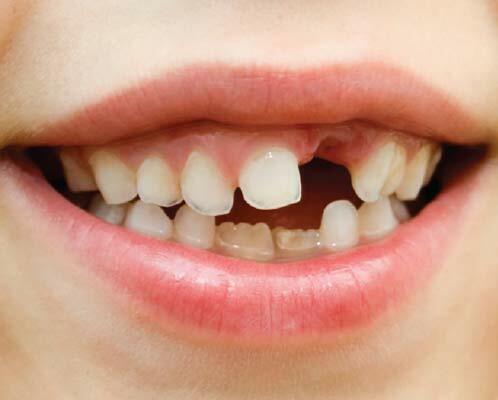 Baby teeth are not replanted because that could damage permanent teeth that are developing beneath the gum line. Therefore, do not attempt to put the tooth back in its socket. Face may be distorted; jaws/teeth do not line up normally. Teeth cannot contact. Control bleeding, apply an ice pack or cold compress to ease pain and/or use over-the-counter pain-relief medications such as acetaminophen or ibuprofen. Go to the ER immediately. Do not try to manipulate or reposition the jaws. Reviewed By: Dr. David J. Kenny and Dr. Garry A. Rayant, Editor-in-Chief, Dear Doctor, Inc.